This afternoon on our walk (around the forestry plantations West of Yinnar) a huge flock of these beauties came in to roost on some young gums near us. There must have been 200-400 of them, so it was quite a spectacular display with their strange erratic flight and loud complex calls. There was an astonishing variety of vocalisations from them as they settled down for the night. Having read about Alex, the African Grey Parrot who clearly had the ability to form meaningful sentences in English – whilst no member of what we like to call ‘homo sapiens’ has ever learned to speak parrot at all, I began to wonder whether it is possible to ascertain whether their wonderfully varied sounds represent true language. It must be possible to devise a computer algorithm which will enable a computer to identify whether a pattern of sounds represents a language. You would start by playing it a large chunks of individual human languages to see if it can learn to discern a pattern which identifies ‘language’. As you add new languages, the algorithm must become more and more sensitive. 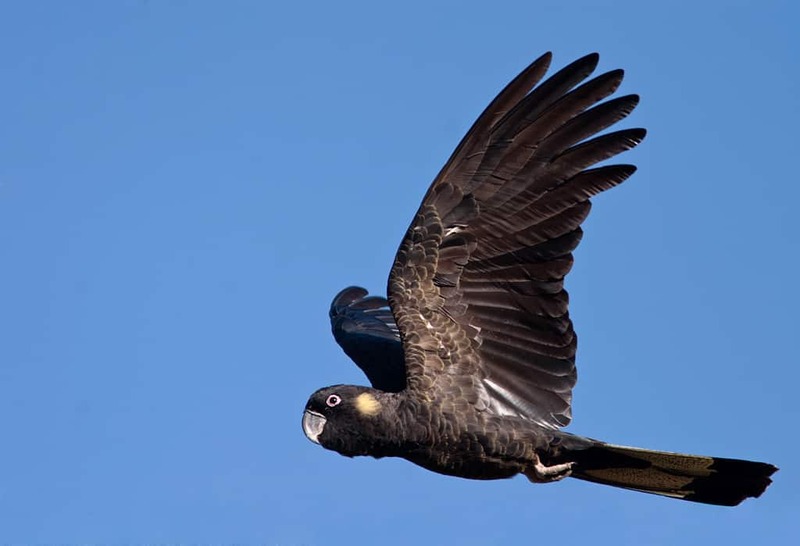 If you slip in chunks of nonsense sounds every now and again to test it, eventually after you have fed it enough languages it will be able to identify something else as language: the songs of whales, say – or in this case the songs of the yellow-tailed black cockatoo.